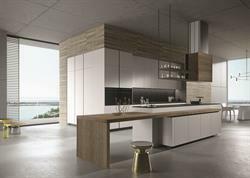 LOS ANGELES, CA--(Marketwired - February 01, 2017) - LOOK, a modern kitchen cabinetry line by Italian designer Michele Marcon, has won the 2017 Green GOOD DESIGN™ Award. LOOK is manufactured in Italy by Snaidero and available in North America exclusively through Snaidero USA. The Award is a testament to the two companies' commitment to the environment, as it recognizes "manufacturers and design firms that are forwarding a new emphasis on a more sustainable design and environment worldwide." The program is presented by The European Centre for Architecture Art Design and Urban Studies and The Chicago Athenaeum: Museum of Architecture and Design, the same institutions behind the GOOD DESIGN™ Award, the most prestigious recognition of design excellence in the world. For Snaidero and Snaidero USA, environmental sustainability has long been a daily practice that extends to both the design and the manufacturing of their kitchens, down to every detail. Snaidero was one of the first companies in its sector to obtain the ISO 14001 certification; an international standard that determines the company's ability to deal with exceptional events and emergencies that may cause harmful consequences for the environment. Since 1999, Snaidero has managed to reduce its water consumption by over 70%, the quantity of non-recyclable solid waste by over 90%, and its consumption of fossil fuels by over 85%. The Italian manufacturing plant uses photovoltaic panels, contributing to a reduction of CO2 emissions by 1,440 tons per year. For its kitchen cabinets, Snaidero has long replaced solvent-based coatings -- which release toxic substances for a long time even after they have dried -- with water-based coatings. This has helped reduce the emission of Volatile Organic Compounds (VOCs) by 95%, resulting in a safer product for the workers' and consumers' health. Snaidero has also eliminated the use of pigments containing heavy metals in its lacquer finishes. The cabinets use chipboard panels made from 100% post-consumer wood, certified by the FSC as being 100% Recycled. The wood panels also use extremely low formaldehyde emitting glues and resins, to minimize the potential harm to people's health. The emission levels are less than a half of that set by the LFE E1 international certification, whose maximum emission level of 0.14 is lower than the 0.18 standard of the California Air Resources Board. LOOK was introduced to the North-American market in spring 2016 and was chosen for the 2017 Award out of hundreds of submissions from companies in 20 nations from around the world. Snaidero USA is the exclusive North American distributor of Snaidero kitchen cabinets. For almost 40 years, Snaidero USA has offered the finest in luxury Italian kitchen design to North America and Central America through a retail network of 21 showrooms. Snaidero USA also serves the multi-housing industry, partnering with top developers like Howard Hughes Corporation, Fortune International Group, Turnberry, AEG, ASPAC Developments and the CMC Group, for over 170 projects completed to date. Today, under the leadership of its President, Comm. 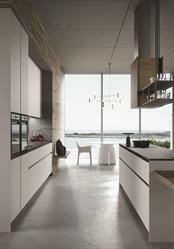 Dario Snaidero, Snaidero USA is the leader in North-American imports of European kitchen cabinets. Through its Snaidero USA Living collection, the company also offers made-in-Italy furniture for bathrooms and closets. The kitchens are made of eco-friendly, non-toxic materials through production processes with limited impact towards the environment. Snaidero USA is a member of the US Green Building Council. For more information, please visit www.snaidero-usa.com. 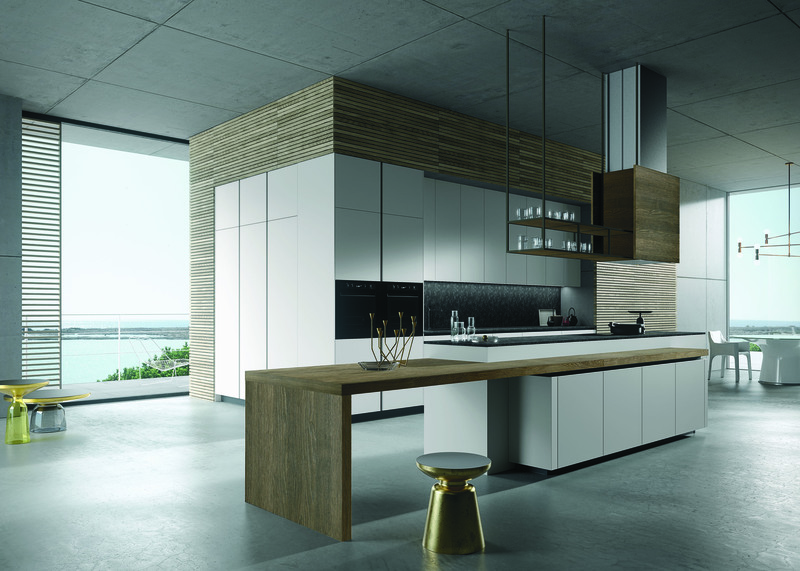 Founded in 1946, Snaidero is Italy's leading manufacturer of high-end kitchen cabinets. A wealth of experience built over 70 years of tradition and innovation. Always at the forefront of style and innovation, Snaidero partners with world-renowned artists, architects, and industrial designers, such as Ferrari stylist Pininfarina, international architect Massimo Iosa Ghini and acclaimed Italian designers Lucci and Orlandini, to create top-of-the-line products manufactured with environmental responsibility.